As a Grant Allocation Panelist, you will help decide how the funds raised during the recent United Way campaign will be invested back into services that benefit people in our community… agencies present their proposals and field questions from panelists; then the panel discusses how to allocate available funds and agrees on a recommendation to NAUW’s Board. 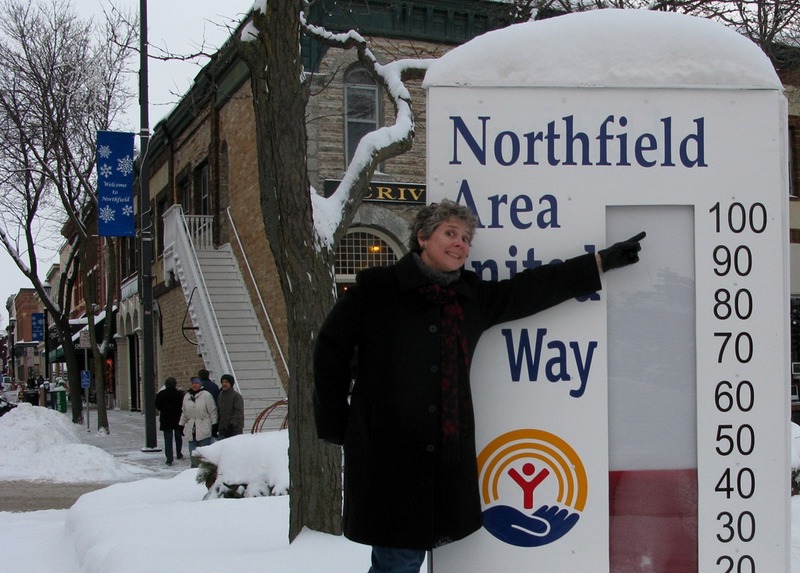 Volunteers find that this is an excellent way to learn more about our community and the network of human-service organizations serving the Northfield area. Indeed, it was excellent. And the process was impressive. 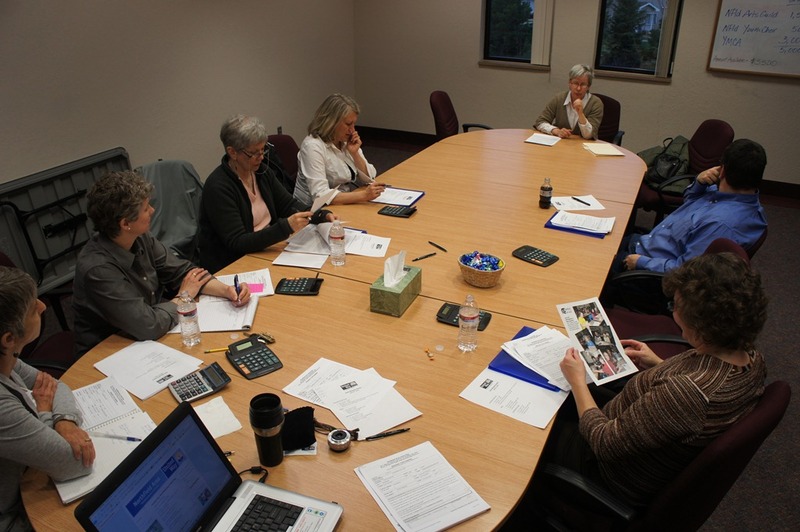 Our allocation panel got to hear from/ask questions of representatives from the Northfield Arts Guild, the Northfield Youth Choirs, and the Northfield Area Family YMCA. 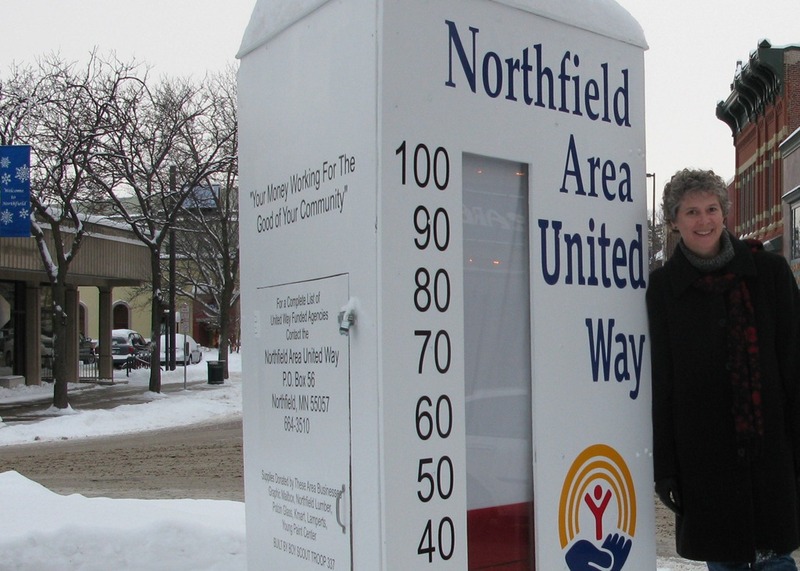 Betsy Spethmann, the new Executive Director of the Northfield Area United Way, was down on Bridge Square yesterday, drawing attention to the organization’s fundraising thermometer. You can use their online donation form to give it a boost.